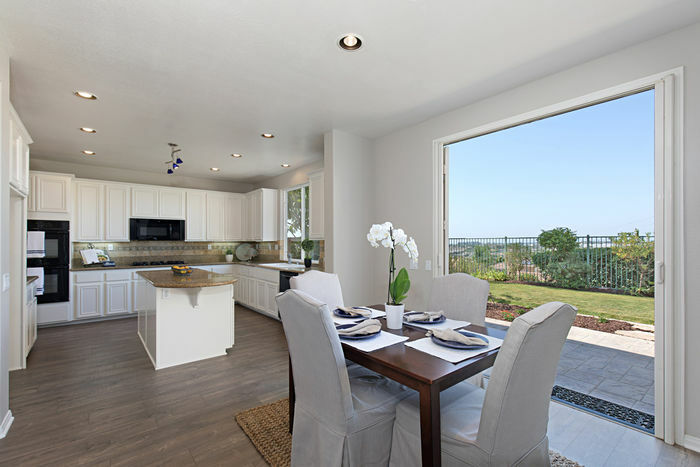 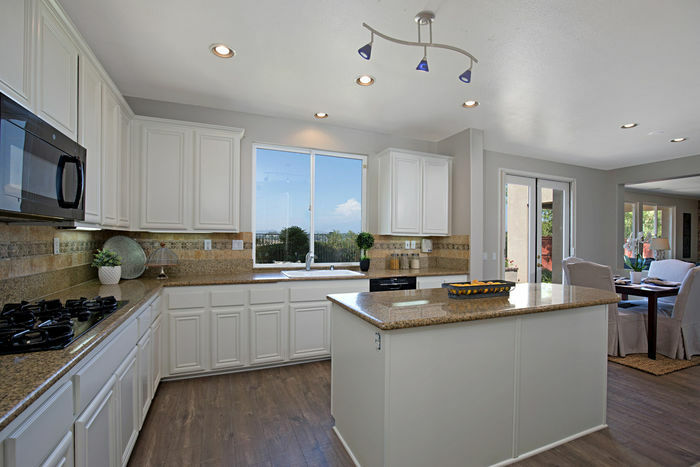 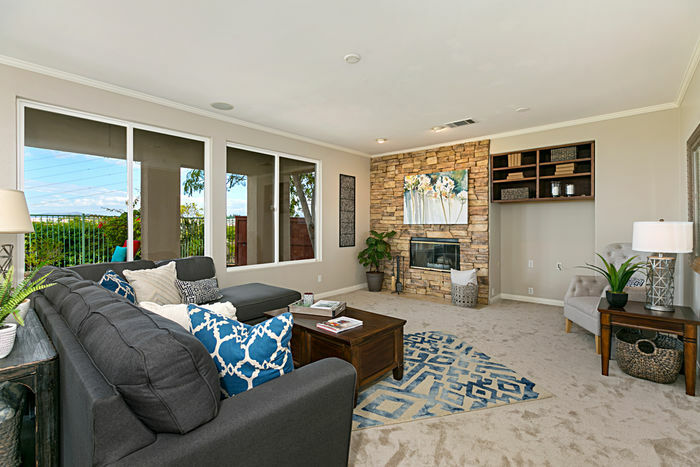 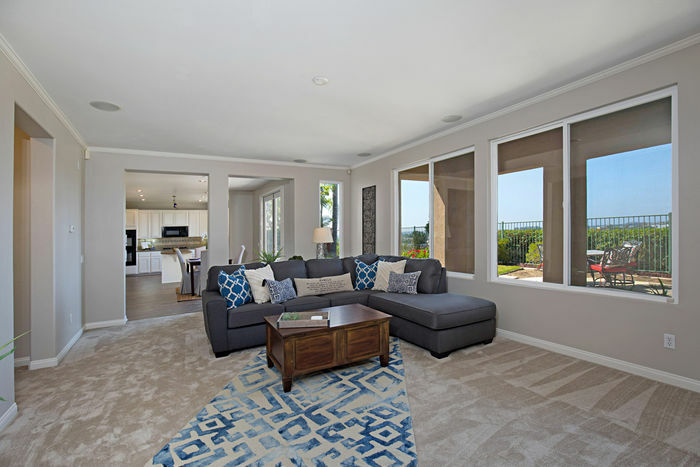 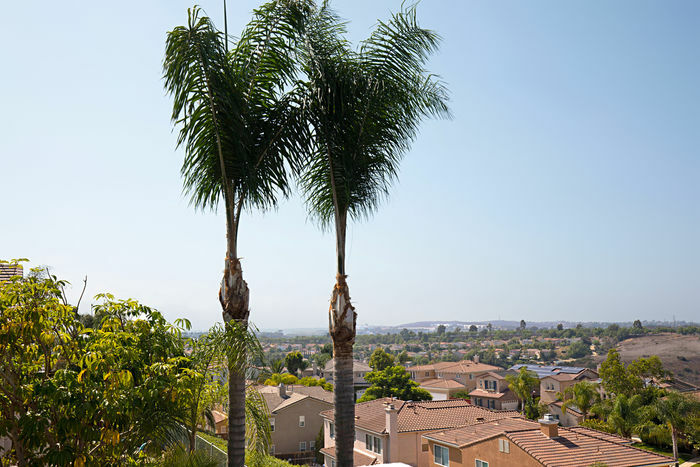 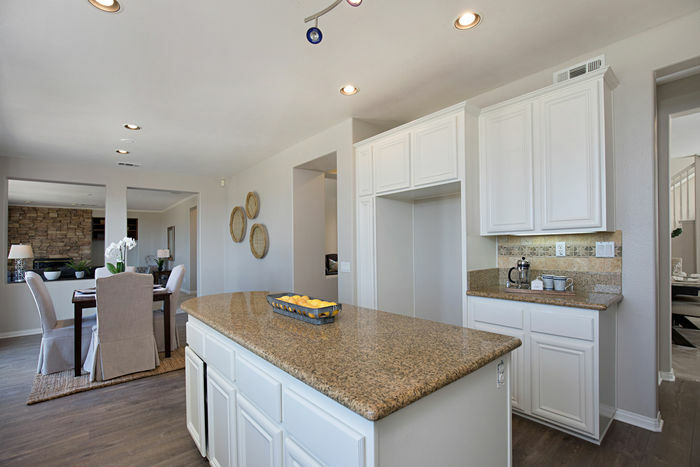 Newly renovated home situated on a corner lot with canyon, sunset, & city light views located in Rancho Dorado on the border of Carlsbad and San Marcos. 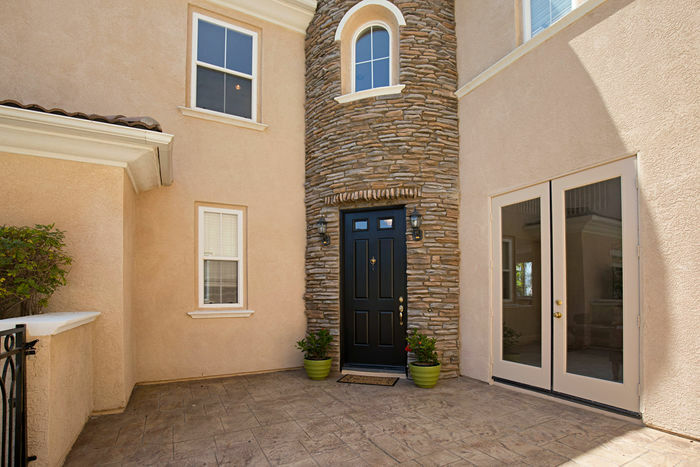 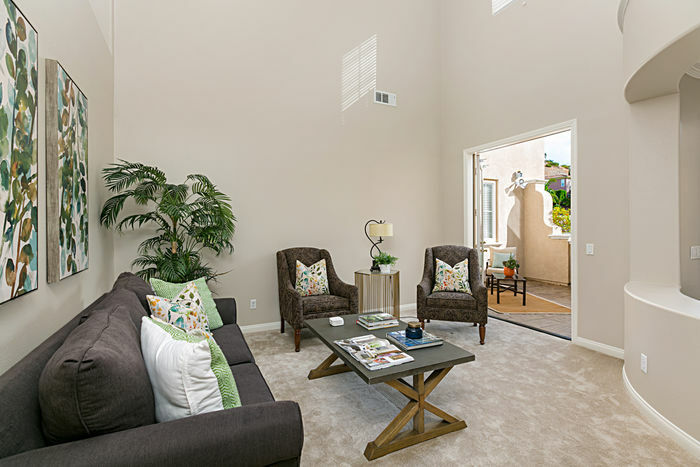 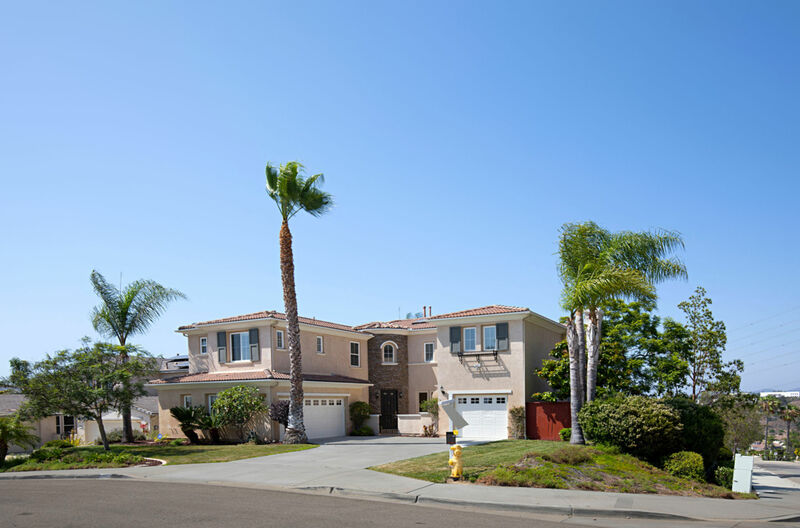 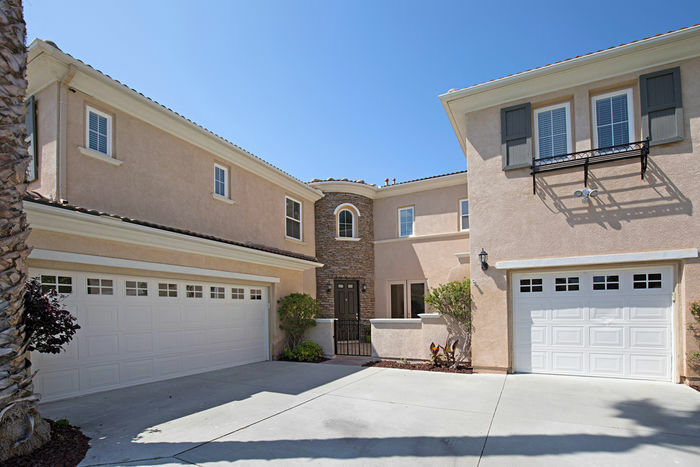 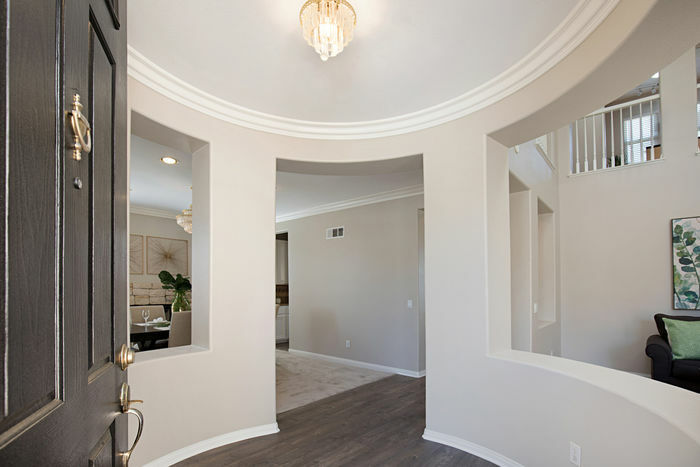 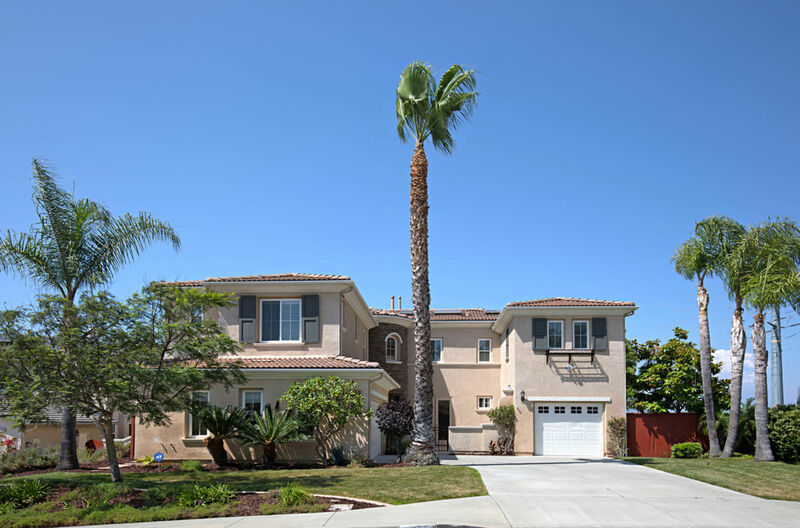 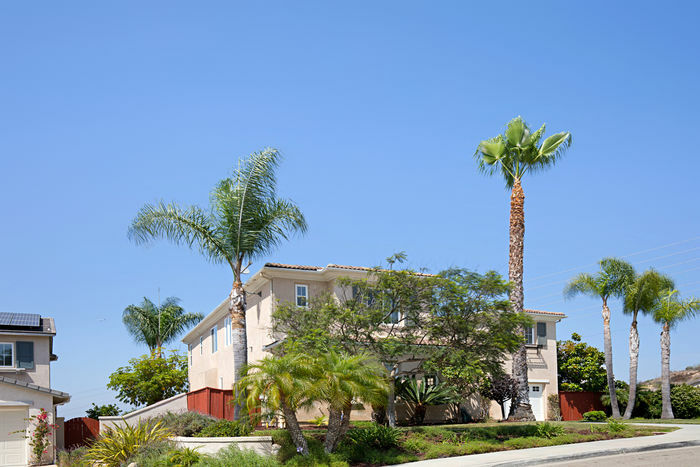 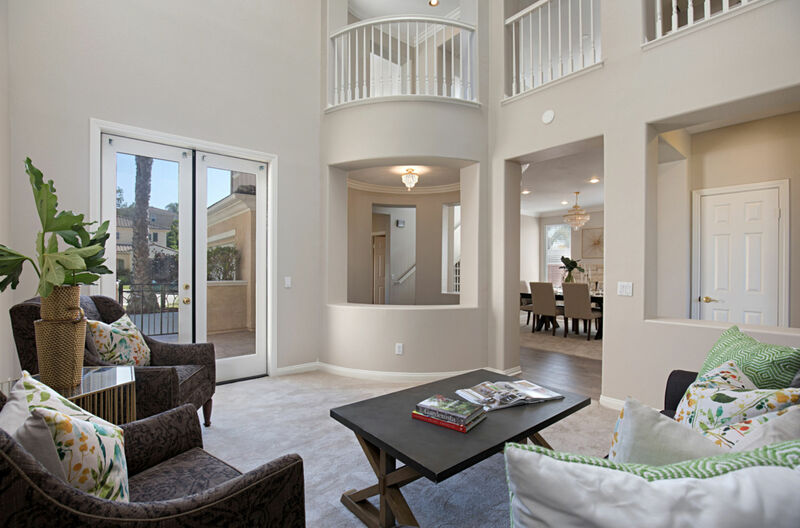 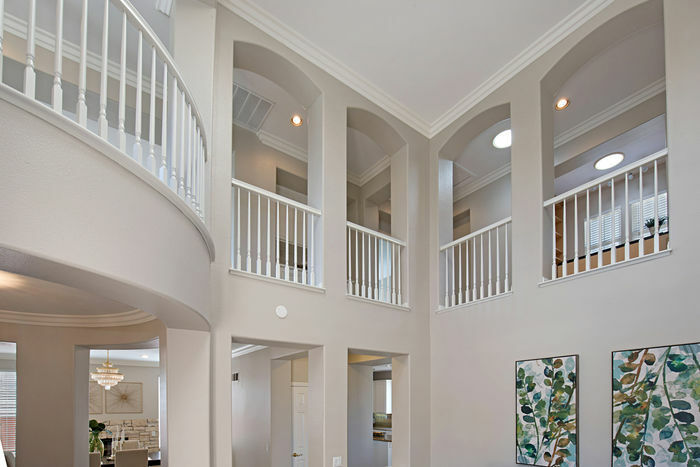 Enter this home through gated courtyard and elegant foyer into the formal living room that boasts two story ceiling with skylights & french doors. 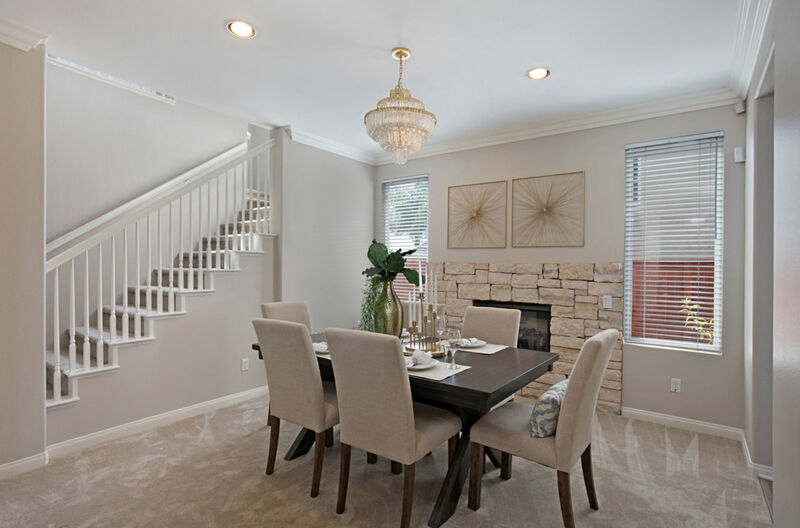 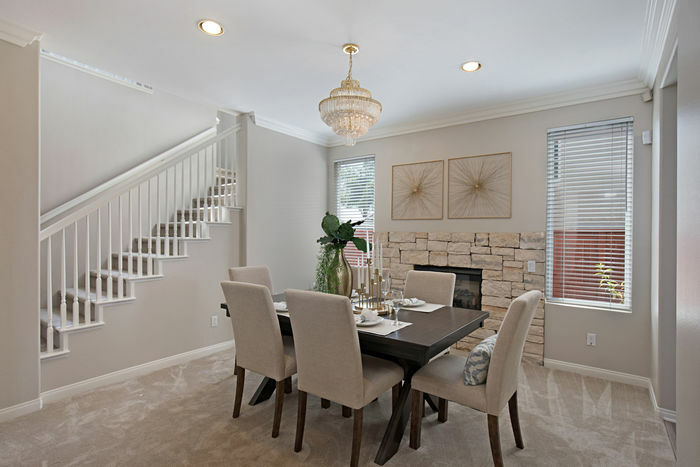 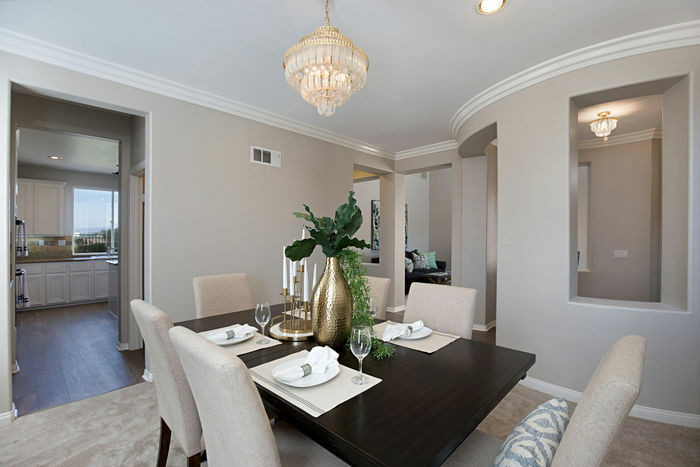 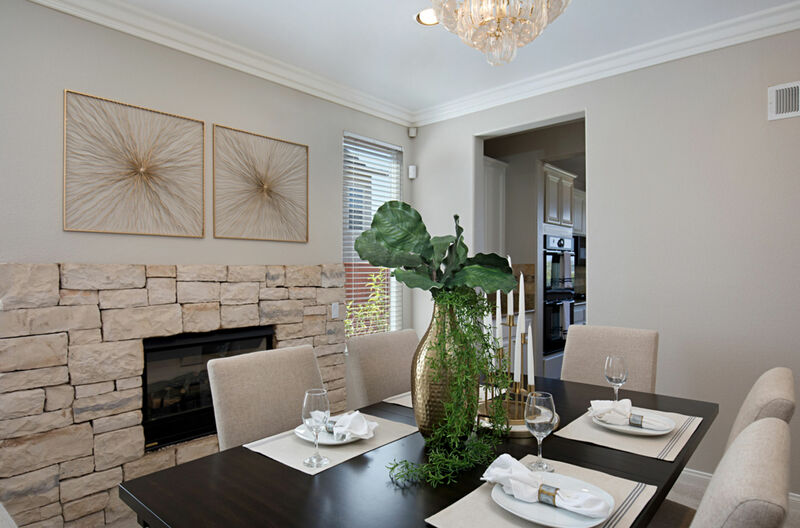 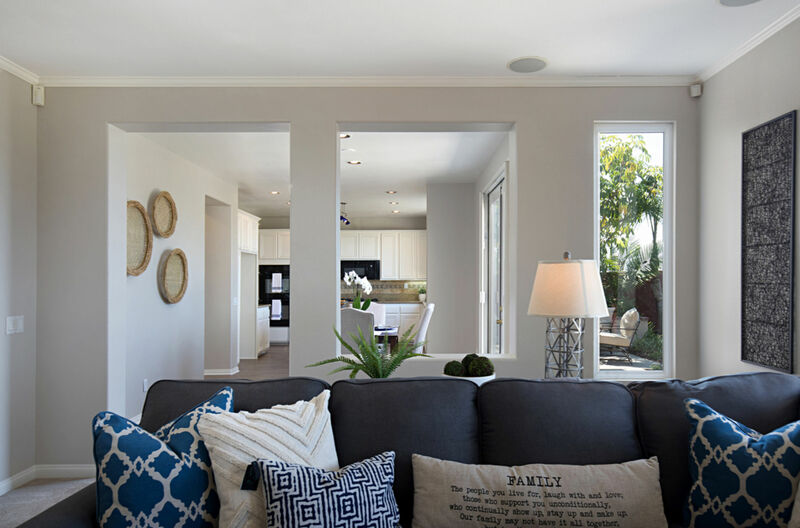 The formal dining room offers fireplace with rock surround & butler’s pantry that leads to the spacious kitchen. 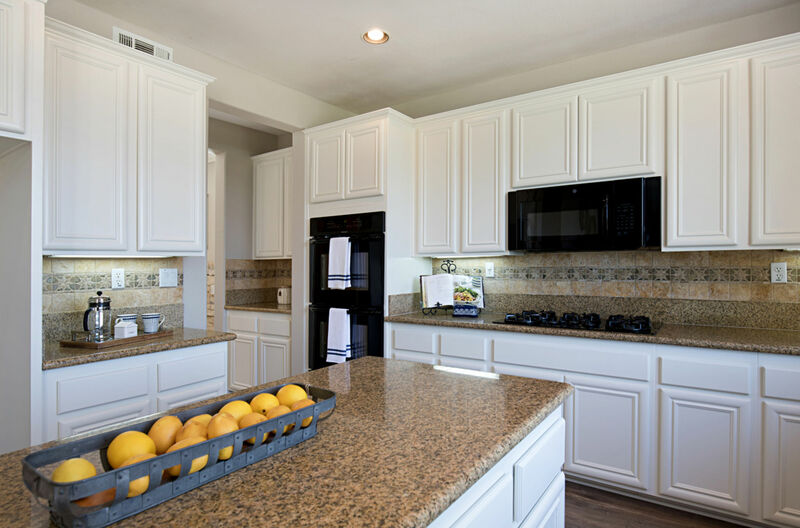 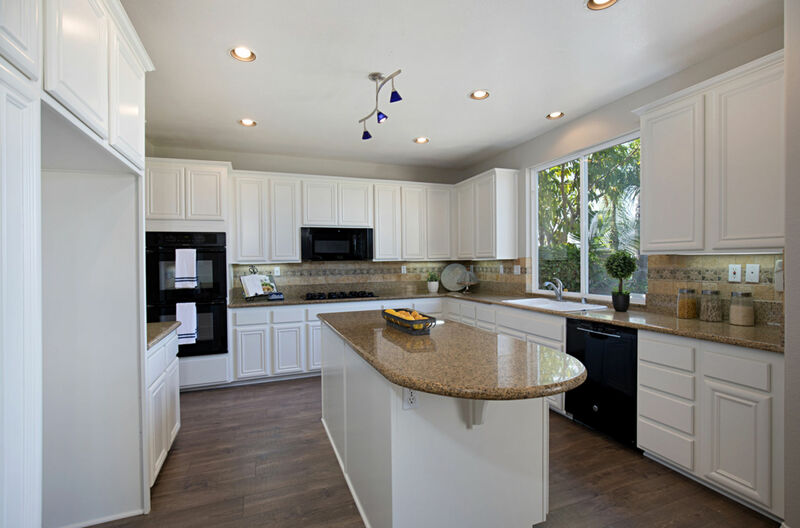 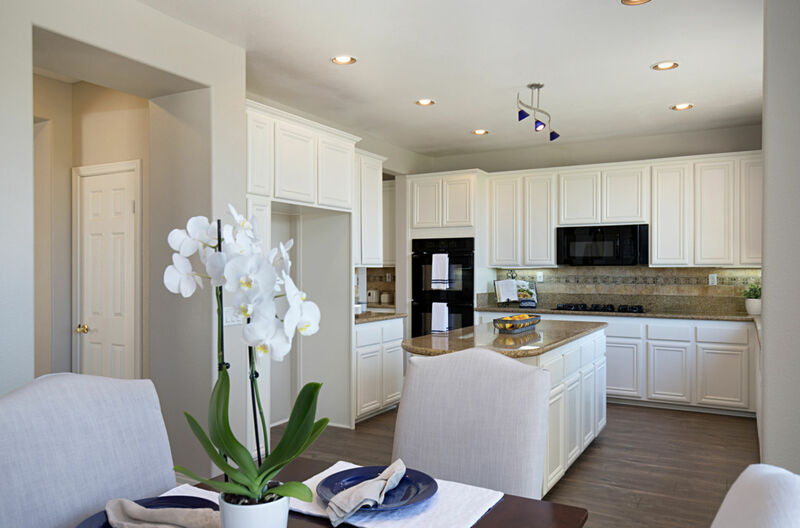 This beautiful kitchen boasts crisp white cabinetry, granite counters, center island, walk-in pantry & flows seamlessly to the breakfast area with french doors. 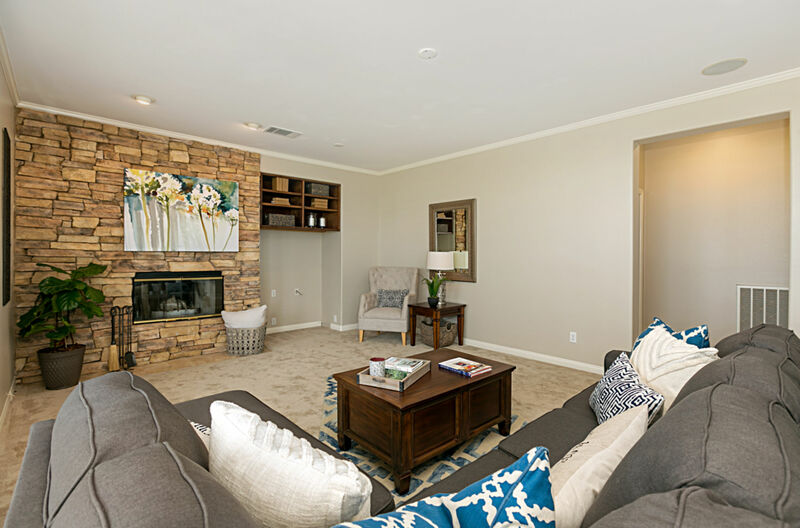 The large family room has cozy fireplace, media niche with built-in cabinets & large picture windows that frame the serene view. 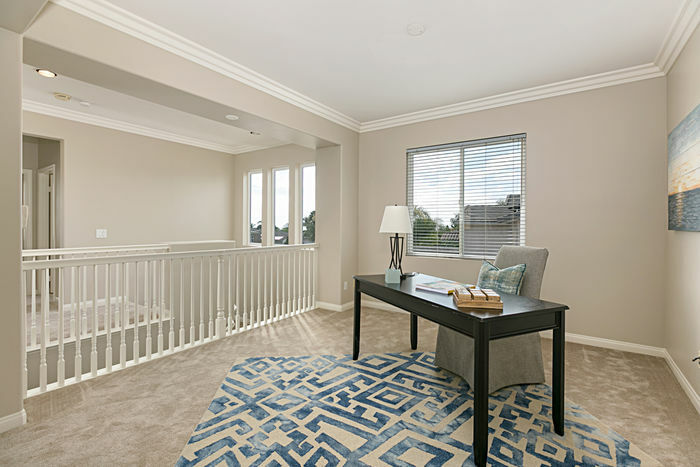 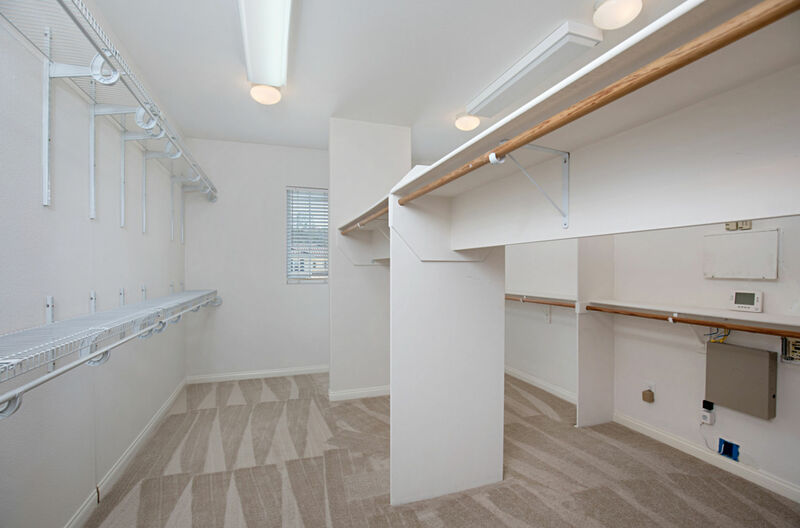 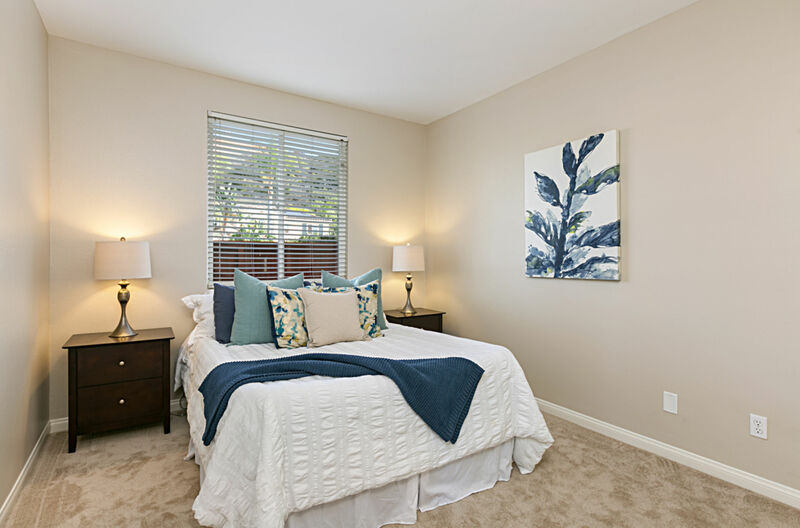 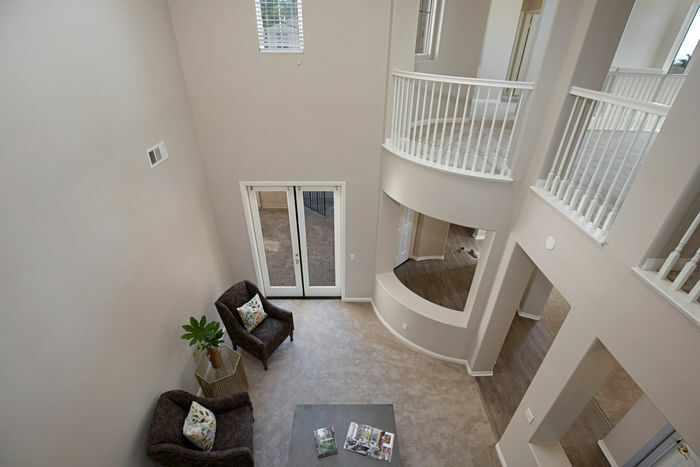 Follow the stairs to the spacious loft, two secondary bedrooms with full baths & walk-in closets, built-in office nook & laundry room with sink/storage. 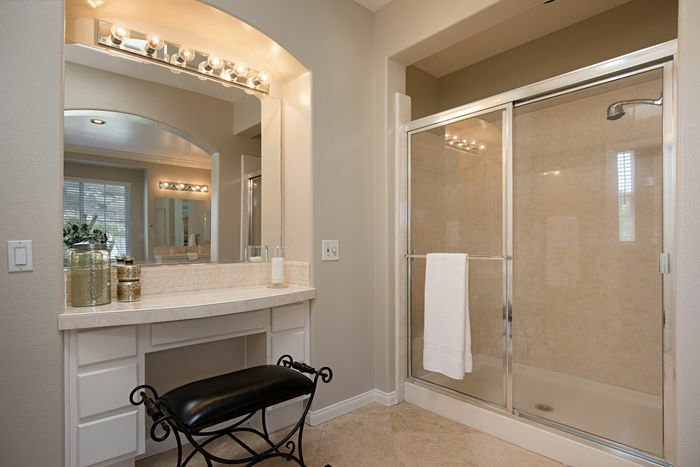 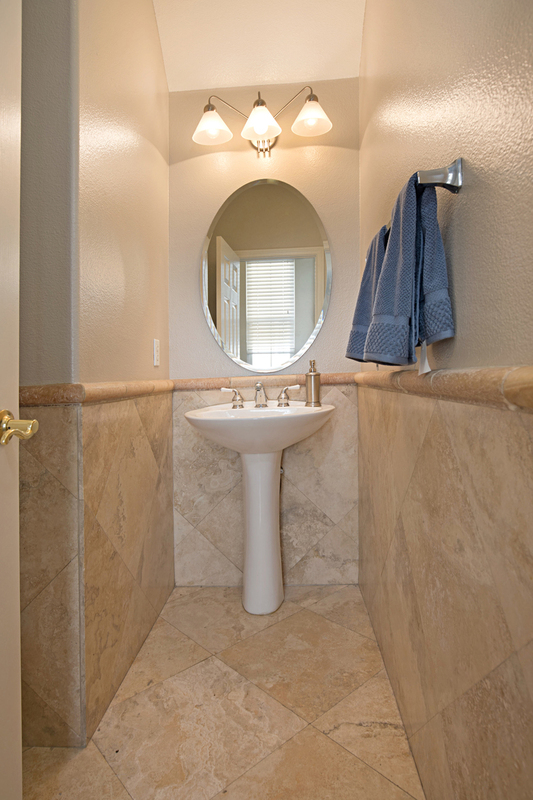 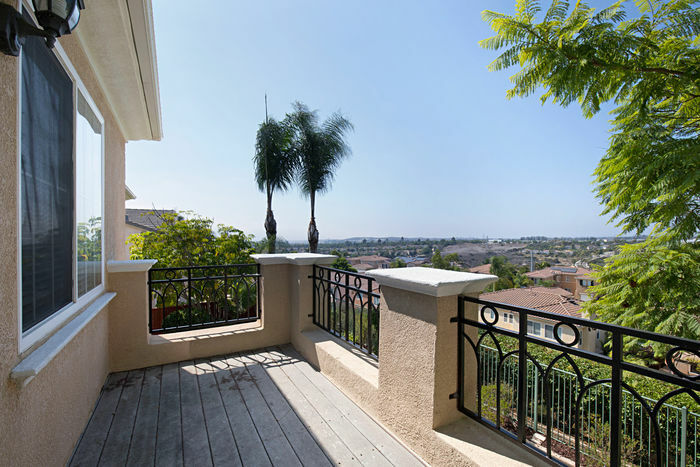 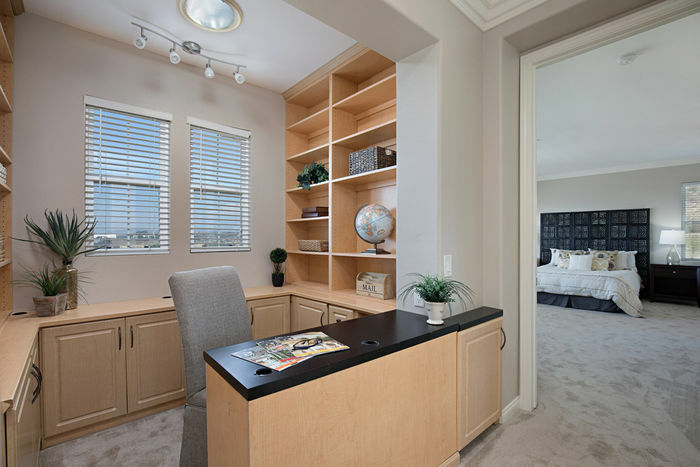 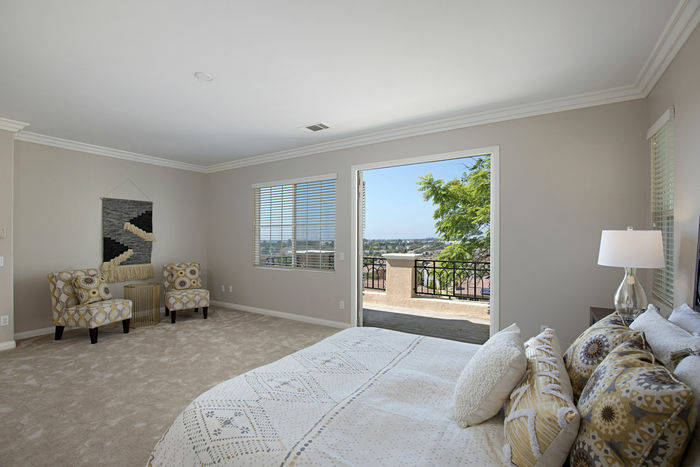 The Master Suite boasts private balcony, gorgeous views, & huge bathroom with soaking tub, dual sinks, separate vanity, glass enclosed shower & expansive walk-in closet. 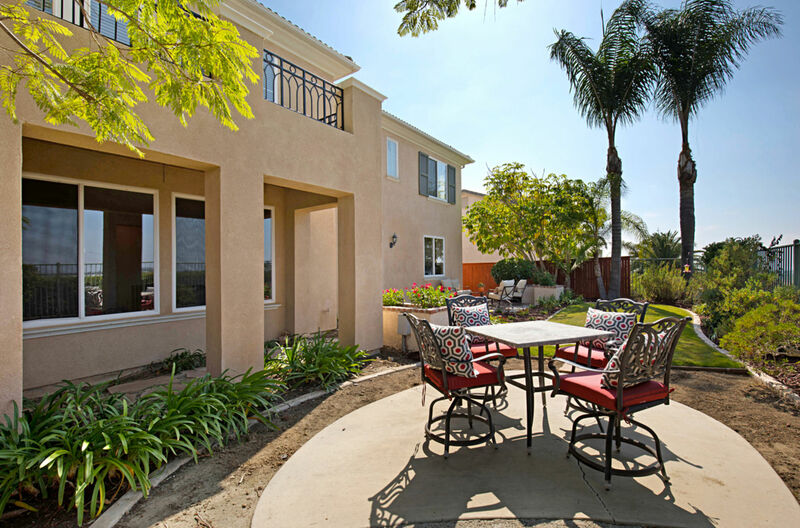 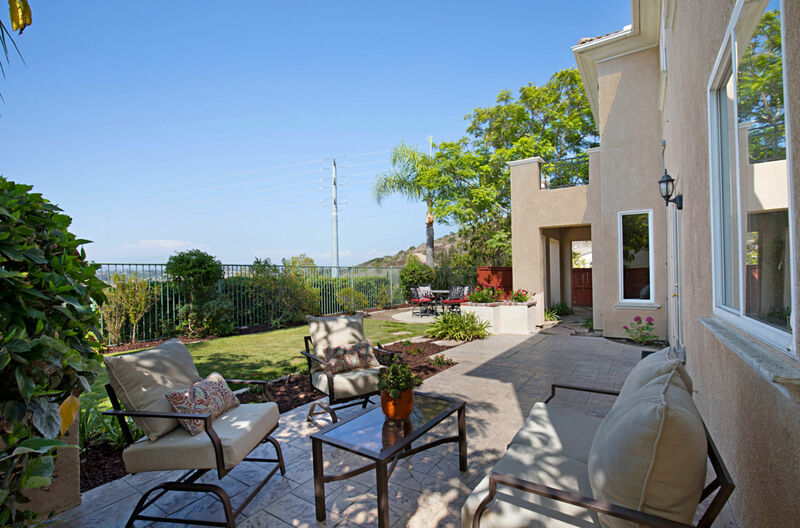 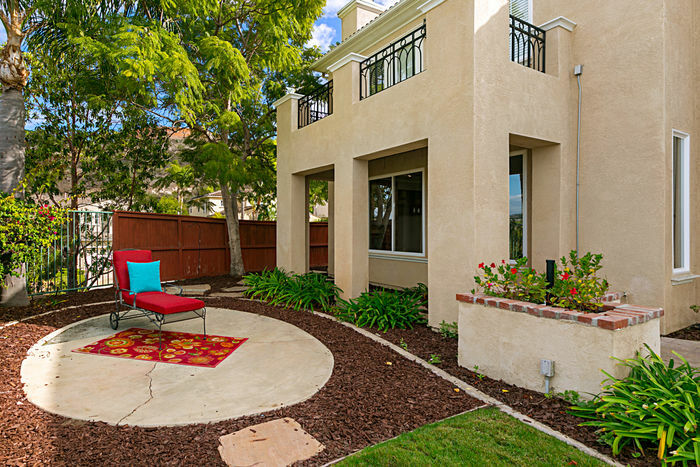 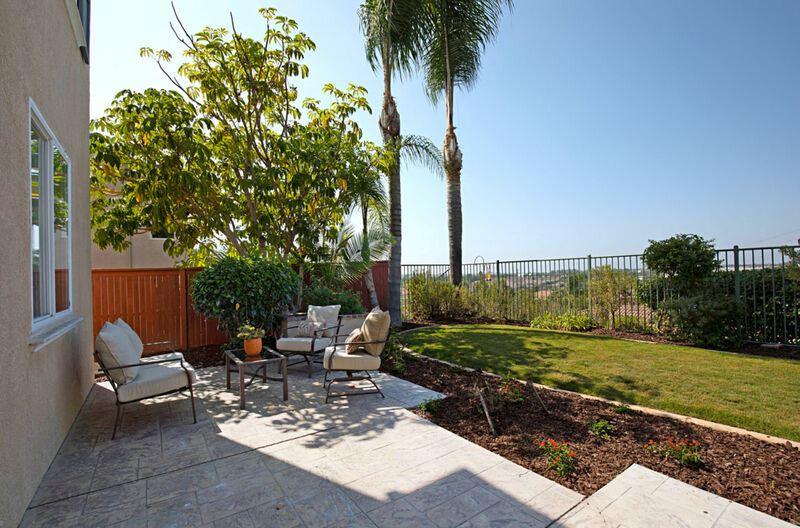 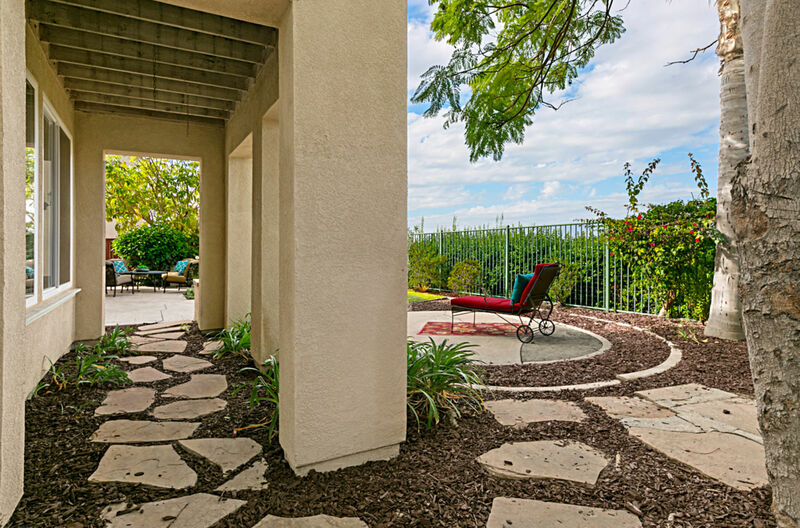 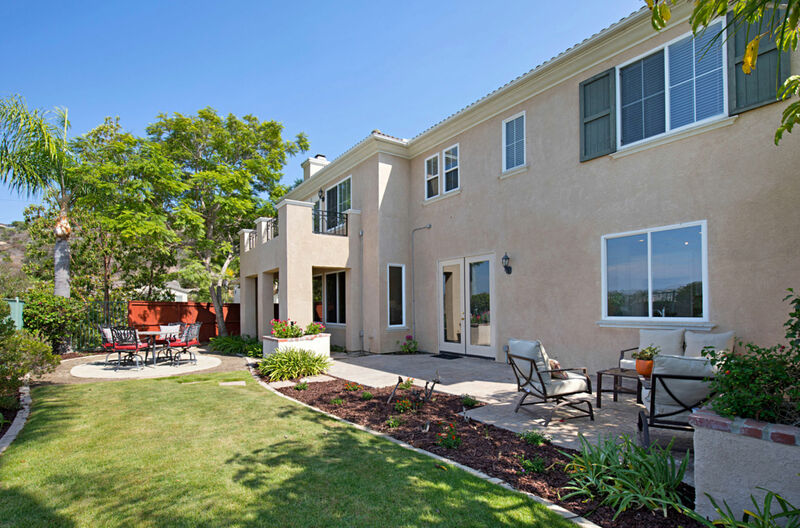 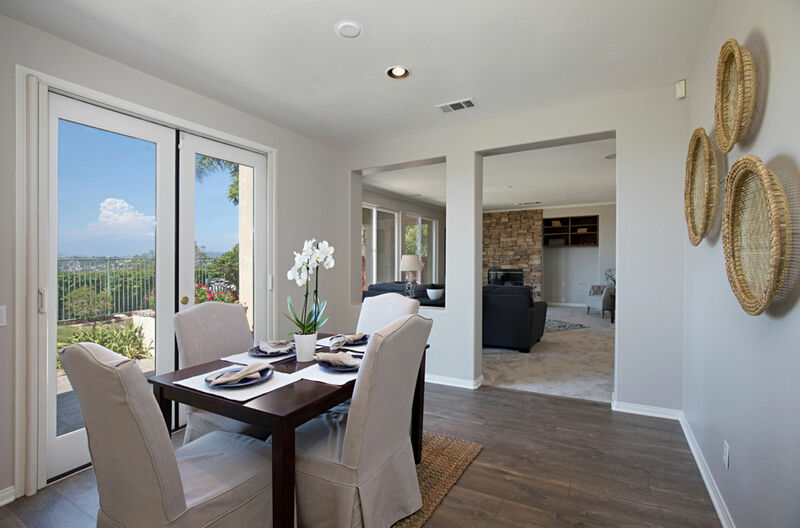 The lush backyard offers covered patio, grass area, separate seating area, lush mature landscaping, & private sweeping views of the canyon and hills. 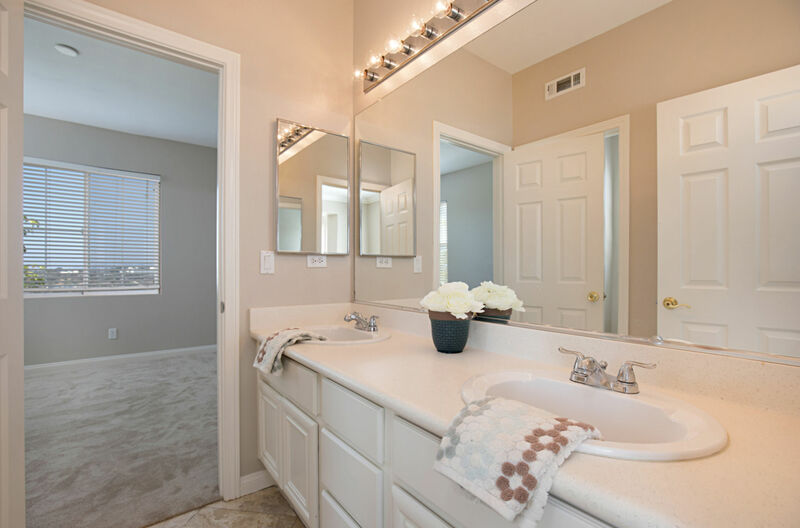 Other features & upgrades include: Brand new luxury vinyl wood floors and plush carpet, new paint throughout, downstairs bedroom with full bath, & separate third car garage.